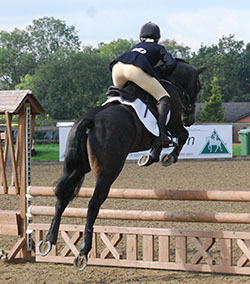 For the first time, a Small Event Horse Championships will be run as part of the 2012 IPS Auction Event on Saturday 27th October 2012 at South View Competition & Training Centre, Cheshire. 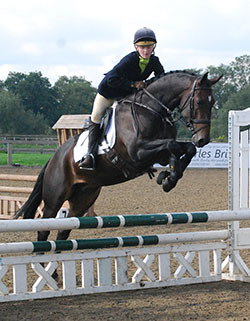 The Championships are sponsored by Parys Horses and supported by British Eventing. They are open to 4, 5, 6 and 7 year old small horses from 148cms up to and including 158cms (159 cms with shoes) in height and riders can be any age (including adults). Spectators are very welcome at this event and a running order will be available including information about the breeding of each entrant. The South View Cafe will be open and there will also be information about the SPSS available. Entries Open on 19th August and close on 20th October; Entry Fee £20; Late entries accepted (up to Wednesday 24th October) - £2 per class extra - please to let us know if you've sent a late entry!! Entry Fee £20; Entries close on 20th October - late entries are £2 extra per entry. Stabling: Stabling is available, please contact South View on 01270 528684 to book. * Class open to SMALL HORSES only. Small horses from 148.5cm up to and including 158cm in height (159cm with shoes). Horses may be of known or unknown breeding and do not need to be registered with the SPSS. Where horses have a pedigree, please enclose a copy of this with the entry form (so that breeding information can be published). Open to both British Eventing (BE) registered and non-registered horses, owners & riders need not be BE members. * Riders any age (including adults). Saddlery & Equipment and Competitors' Dress rules as per BE Members Handbook 2012. Protective Headwear must be worn at all times while mounted (but does not have to have a BE or other "hat tag"). 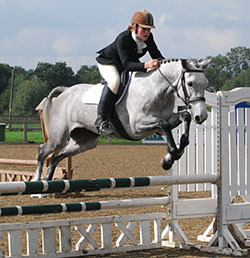 The aim of this Championships is to encourage the breeding and correct training of young horses for eventing. The judge will be looking for potential for the future in the young horses rather than how well they are presented. The judge will look for an athletic, loose moving small horse with a promising jumping technique that given the correct training should develop physically and mentally into a capable eventer. In the dressage phase, although the riders are asked to perform a specific test (BE92 for 4 & 5 year olds; BE 110 for 6 year olds), the judge will not be giving marks for the individual movements but will be looking for correct, elastic and regular paces with a swinging back. The horse’s potential to perform a good dressage test in the future and trainability are key. Horses should be presented in a snaffle bit (as per the BE permitted snaffle bits list) for the dressage. The horses will be asked to jump a short course of show jumps followed by some cross country style (rustic) jumps. The judge will be looking for a bold and athletic small horse with good technique and a horse with these qualities will not necessarily be penalised for knocking one fence down (or for a 4 year old having one refusal) provided that the horse learns from the mistake. However, knocking down more than one fence will reduce the horse’s score and 3 refusals will mean elimination. It is acceptable for 4 year old horses to jump from trot. The maximum fence height will be 80cm for 4 year old horses, 90cm for 5 year old horses, 1m for 6 year old horses and 1.10m for 7 year old horses and the first few fences will be lower. The jumping and dressage scores will be added together to give an overall score and the results of the age sections will be determined on this overall score. If two or more horses score equal marks, the horse with the higher temperament score will take the higher placing. The two horses with the highest score from each of the 3 age related classes will come forward for the Championships. In the Championships, the judge will assess the horses for star quality, suitability and potential to make a successful eventer. As part of this, the judge may require the horses to show extended canter and/or gallop. The judge will also take into account those marks already allocated and select the Overall Champion and Reserve Champion. All horses will perform their dressage tests at a time allocated in advance (see link from top of this page from 6pm on Thursday 25th October). Tests may be "called" if desired. Once all the dressage tests have been completed, the horses will come forward in the same order for the jumping phase. Tack may be changed between the dressage and the jumping phases but must comply with the BE Members Handbook 2012 Annex 5. Competitors dress should be in accordance with the BE Members Handbook 2012 Annex 6 (rules for BE80, BE90, BE100) and Protective Headwear must be worn at all times while mounted (but does not have to have a BE or other "hat tag"). Download the above information for reference here. The draft score sheet can also be downloaded (here) but will not be finalised until just before the event when numbers of fences etc are confirmed. * Prize Money per class of depending on entries. Less than 3 entries, no prize money; 3 to 5 entries, £40 to winner; 6 to 8 entries, £40 to winner and £30 to second; 9 or more entries, £40 to winner, £30 to second and £20 to third. * Lesson with Joss Edwards to highest scoring Pony Club member (membership number to be given on entry form and Pony Club tie to be worn). Parys Horses have generously donated a Trophy for the Overall Champion. Parys Horses are a family run equestrian small holding on the Isle of Anglesey in North Wales, that specialises in finding horses and ponies which are chosen for their temperament, soundness and ability to do the job, from the 1st pony to the competition animal. Wish Bands, who have generously donated a beaded browband to the Reserve Champion and vouchers to the top scoring 4, 5 and 6 year olds. British Eventing have generously donated a training session worth approximately £40 to the top scoring 4, 5 and 6 year old ponies. Mark Maguire, the top show producer and judge based in Anglesey, has generously donated a lesson to the Reserve Champion. 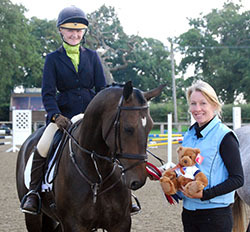 Joss Edwards, the BYRDS instructor, International Grand Prix rider and trainer who trained the Para Silver medallist at Hong Kong has generously donated a lesson for the highest placed Pony Club rider. M J Sports Horses who have generously donated a voucher for £50 off the stud fee for M J Fine Art (£100 if the horse is a registered Irish Sports Horse) to the breeder of the winner of the 4 year old class. M J Fine Art sired last year's Champion Eventing Pony, Carnsdale Sunnyside. Mon Competition Stallion who have generously donated a voucher for £50 off the stud fee of any of their stallions to the breeder of the winner of the 5 year old class. The Shop @ Keysoe, situated in the College Equestrian Centre at Keysoe and also selling on-line, they are authorised stockists for brands such as Equiline, Spooks, Sonnenreiter, Charles de Nevel, Schockemohle and many more and have generously donated a "Goody Bag" containing shampoo, sponge, comb and hoof pick to the best turned out horse & rider. JBH Events, organisers of the IPS Auctions, generously underwrite and organise the event.